Perfect route for groups who want to explore all the hidden gems of the Turkish coast to the fullest. Visit some of the most beautiful beaches, islands, and bays away from mass tourism. Enjoy and relax in the stunning secluded picturesque bays, anchor swim in the clearest sea, sunbathe and enjoy in watersports and other extra activities. With this cruise, you can truly have the most of your holidays. Your cruise starts in Göcek port with check-in from 4:00 p.m. A representative will wait on you and welcome you on board, show you around your yacht and introduce you with your crew. Gocek is a very peaceful and calm island with a natural harbor lying at the head of the Gulf of Fethiye just 22 km from Dalaman Airport. When you arrive and settle down on board you can head to the city center in the late afternoon, explore the town and long street called Turgut Ozal Street that offers many deluxe shops, restaurants, bars all playing good international and local music. First overnight will be on anchor in one of the nearby bays with delicious big dinner served on board around 08:00 p.m. This day you will be visiting the region known as Cleopatra’s bay or Sunken Bath Bay. What is interesting is the fact that ruins are located under water, and there was a myth created that Cleopatra herself used to come right there and bathe at least twice. Manastir South-east of the Manastir bay, in the ruins of a bath in the water because of the region is known as Cleopatra’s Bath, or Sunken Bath Bay. 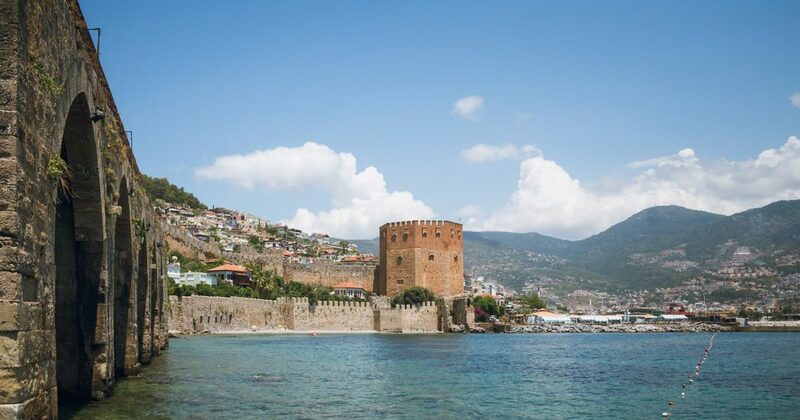 Although these are historic ruins area is still being used by many tourists and is still not protected which means you can too take a swim among the ruins of the ancient baths. Here you will enjoy a nice lunch on board and overnight stay surrounded by beautiful nature and turquoise sea. Tersane Island is the largest island in the Gulf of Fethiye also known by the name Dockyard Island. Fun fact is that Tersane Island was once populated by Greeks, but back in 1923 with the agreed population swap between Turkey and Greece it belonged to Turkey. Today you can still find the interesting ruins of their abandoned homes scattered all over the island. 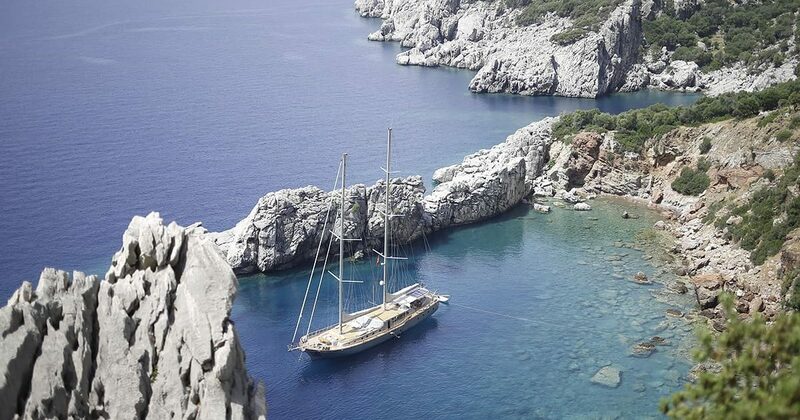 Your gulet will anchor in the well-protected bay where you will find time to relax and enjoy in your favorite book, under the sun or do whatever you may please. The harbor is quite shallow here and great for families who have young children. If you are up for some underwater exploring, you should know that it is believed that the area used to be a shipbuilding harbor in the past so we suggest grabbing a snorkel and exploring because who knows what you might find! Bedri Rahmi Bay is also known by the Lycian name of Tasyaka or ‘dark bay’, is known for its beauty and historical significance. The scenery of this bay resembles a coastal paradise on earth, you simply will be stunned by the beauty of nature. With further exploration, you’ll see that hills are speckled by unique ancient ruins of Lycian rock tombs. For lunch you will moor in the bay which offers good shelter against the wind and has a small beach on the north side surrounded green forest and olive groves. 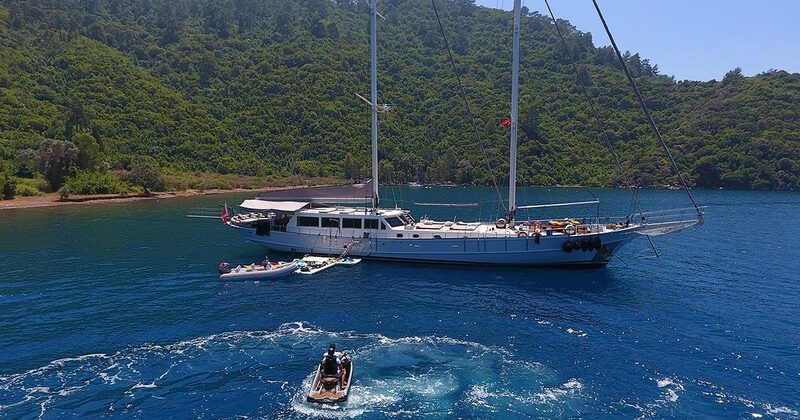 This is also a perfect time to endlessly enjoy in various watersports that your gulet offers, feel free to ask your crew for any needed assistance. 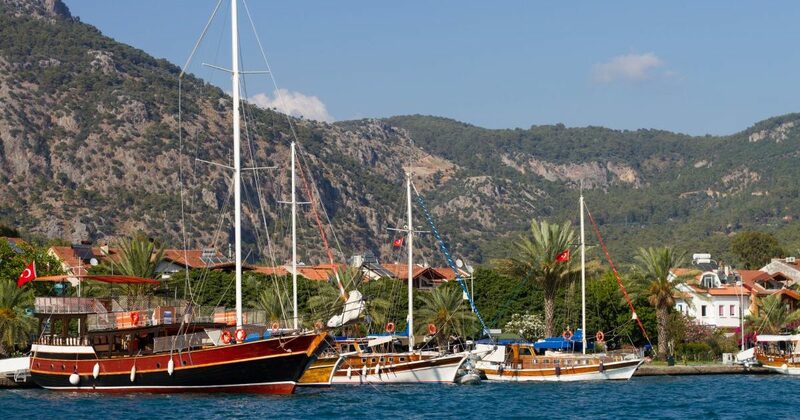 After breakfast and an early morning swim, your cruise continues towards Fethiye. Fethiye is located in a picturesque bay at foot of mountains, sheltered by lush forests. This is an unusually beautiful resort with very developed tourist infrastructure. This area had become a popular exquisite place in the Mediterranean and is known as the Turquoise Coast. 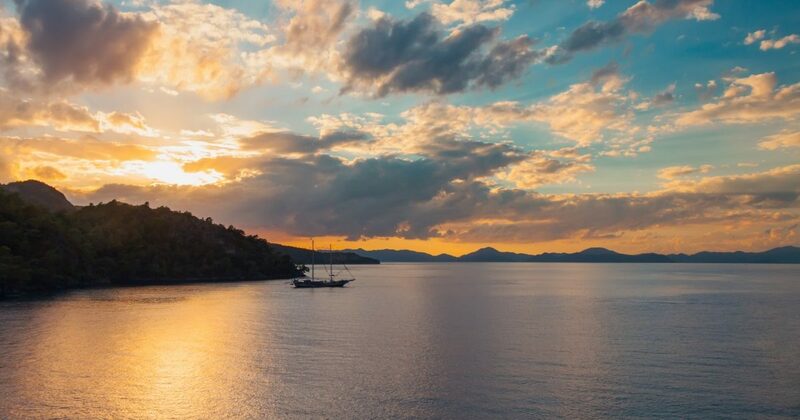 Fethiye has truly majestic mountains, numerous sandy beaches, islands, and hidden bays which makes him an ideal place to visit on a gulet cruise. Sea temperature here does not fall below 19°C throughout the year and because of the stunning underwaters, it is particularly interesting for divers. If you are feeling active and you want something more extreme – go paragliding, extreme whitewater rafting, or take a jeep safari on the mountain roads. If you prefer something easier going, Fethiye streets are full of shops, bars, and restaurants that offer a nice shopping experience. Keep in mind that deluxe dinner will be served on yacht around 08:00 pm. You will leave Fethiye early in the morning (before breakfast), by the time you wake up, you will already be on the way to Ölü Deniz with breakfast served there to bring your energies up. 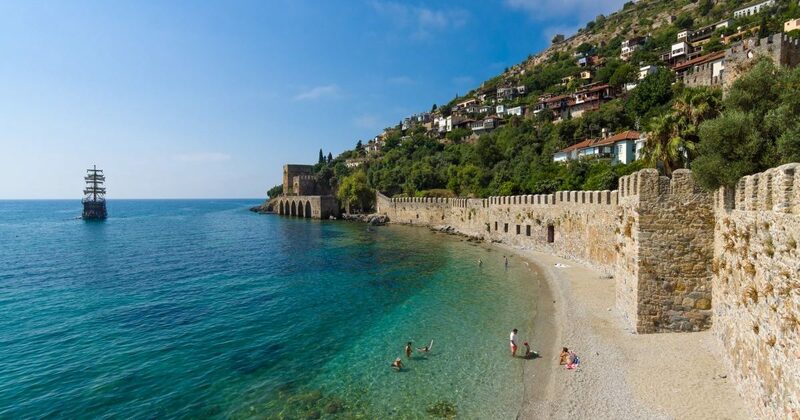 Ölü Deniz is a gorgeous resort village with the most photographed beach in Europe you don’t wanna miss! Here you also have the option of paragliding or just admiring breathtaking views. For all paragliding enthusiasts, you will take off from Babadağ Mountain, and fly over Ölü Deniz beach and Blue Lagoon. The views from the sky are next level amazing! However, if you want this adrenalin rush we suggest looking into pre-booking this activity. For those who want to unwind and feel stress-free, we suggest taking a walk on the beach and enjoying an incomparable view that Oludeniz offers and magical blue sea. 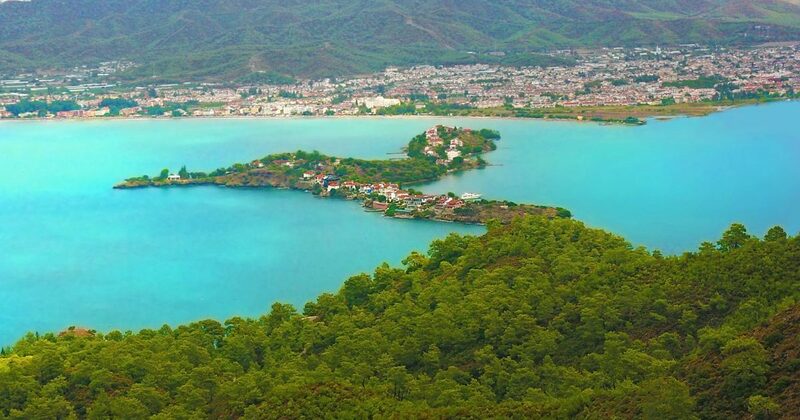 Gemiler adası also known as a Saint Nicholas island is located North side of Fethiye. This location is known for its ancient ruins of Saint Nicholas and remains of other churches. Other attractions of interest include over 40 ecclesiastical buildings and Christian tombs which hideaways many secrets from the past. The most impressive thing to see to some may be a Church that was cut out directly from a rock located at the highest point on the island. It is a true wonder of architecture so even if you are not history enthusiast you will still enjoy seeing this. Your yacht will anchor here where you will have time to walk up through the island’s ruins and sit and enjoy the magical sunset as well as enjoy in dinner served around 08:00 p.m.
With early departure and cup of Turkish coffee, you will be put you in the good mood for a new destination, and that is Zeytin island. Breakfast will be served after anchoring by your lovely crew on board. After breakfast and optional swim break cruise, we will continue towards Yassica Islands. There are fantastic little islands for watersport enjoyment and relaxation. 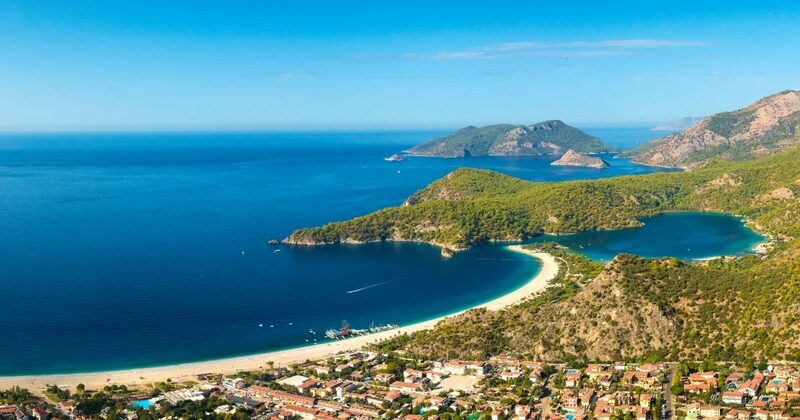 Yassica Islands in the Gulf of Fethiye is one of the most romantic places of this whole route! It is absolutely ideal romantic walks with your partner and photographs of gorgeous sunsets. The islands have amazing nature and many well sheltered and shallow bays – ideal for watersports enthusiasts. There is also a sandy beach and a small lagoon that we would recommend visiting if you are traveling with kids. You can swim between the islands without fear and further explore the islands by foot as well, but don’t forget to take sturdy shoes as the ground is pebbly. It is the last day and time to say goodbye to your yacht and professional crew that worked so passionately to provide you with the best holidays of your love… Check-out is till 10:00 a.m. – after breakfast. 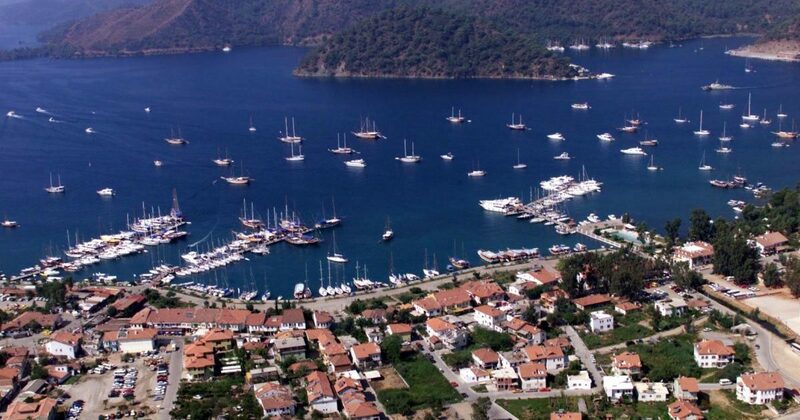 You will be finishing your cruise where you have started it 7 days ago – Gocek harbor. If you haven’t visited the city center on the first day, we strongly suggest to do it before leaving. Before you check-out, a representative will give you one last visit on board to check how everything went and if you need any further assistance (transfers, suggestions on how to spend the day till your flight and similar).